Solar thermal systems are a good example of the particle-wave dualism expressed in Planck’s constant h: E = hf. Where h is the Planck constant, f is the frequency of the light and E is the resulting energy. Thus, the higher the frequency of the light, the higher the amount of energy. 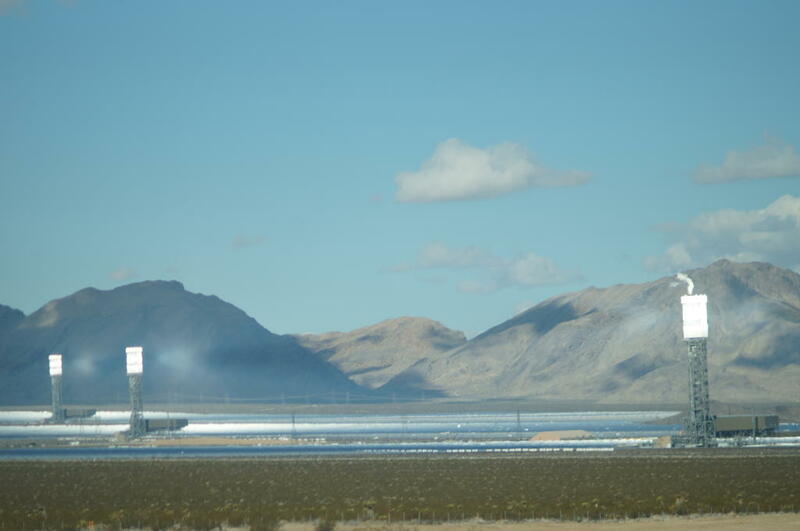 Solar thermal metal collectors transform the energy of high-frequency light by generating them to an abundance of low-frequencies through Compton shifts. Glass or ceramic coatings with high visible and UV transmittance absorb the low frequency light generated by the metal because they effectively absorb infrared light (so-called heat blockers). The efficiency of the solar thermal system improves significantly with increasing size, which is also the biggest advantage of such systems compared to photovoltaic generators. One disadvantage, however, is the downstream transformation of heat into electricity with the help of heat exchangers and turbines − a problem not only in solar thermal systems. To provide the hot gas (supercritical CO2) to the turbines, heat exchangers are necessary. These heat exchangers transfer the heat energy generated by a power plant to the working fluid in a heat engine (usually a steam turbine) that converts the heat into mechanical energy. Then, the mechanical energy is used to generate electricity. These heat exchangers are operated at ~800 Kelvin and could be more efficient if the temperature were at >1,000 Kelvin. The entire process of converting heat into electricity is called a power cycle and is a critical process in power generation by solar thermal plants. Obviously, heat exchangers are pivotal elements in this process. Ceramics are a great material material for heat exchanger because they can withstand extreme temperature fluctuations. However, unlike metals, ceramics are not easy to shape. Relatively coarse shapes, in turn, are made quickly and easily. In contrast, metals can be easily formed and have a high mechanical strength. Metals and ceramics have been valued for centuries for their distinctive properties. For example, bronze and iron have good impact resistance and are so malleable that they have been made into complex shapes such as weapons and locks. Ceramics, like those used to make pottery, have been formed into simpler shapes. Their resistance to heat and corrosion made ceramics a valued material. A new composite of metal and ceramic (a so-called cermet) combines these properties in amazing ways. A research group led by Mario Caccia reported now in the prestigious journal Nature about a cermet with properties that makes it usable for heat exchangers in solar thermal systems. The history of such composites goes back to the middle of the 20th century. The advent of jet engines has created a need for materials with high resistance to heat and oxidation. On top of that, they had to deal with rapid temperature changes. Their excellent mechanical strength, which often surpassed that of existing metals, was highly appreciated by the newly created aerospace industry. Not surprisingly, the US Air Force funded more research into the production of cermets. Cermets have since been developed for multiple applications, but in most cases have been used for small parts or surfaces. The newly released composite withstands extreme temperatures, high pressures and rapid temperature changes. It could increase the efficiency of heat exchangers in solar thermal systems by 20%. To produce the composite, the authors first produced a precursor, which was subject to further processing, comparable to potting the unfired version of a clay pot. The authors compacted tungsten carbide powder into the approximate shape of the desired article (the heat exchanger) and heated it at 1,400 °C for 2 minutes to bond the parts together. They then further processed this porous preform to produce the desired final shape. Next, the authors heated the preform in a chemically reducing atmosphere (a mixture of 4% hydrogen in argon) at 1,100 °C. At the same temperature, they immersed the preform in a tank of liquid zirconium and copper (Zr2Cu). Finally, the preform was removed by heating to 1,350 °C. In this process, the zirconium displaces the tungsten from the tungsten carbide, producing zirconium carbide (ZrC) as well as tungsten and copper. The liquid copper is displaced from the ZrC matrix as the material solidifies. The final object consists of ~58% ZrC ceramic and ~36% tungsten metal with small amounts of tungsten carbide and copper. The beauty of the method is that the porous preform is converted into a non-porous ZrC / tungsten composite of the same dimensions. The total volume change is about 1-2%. The elegant manufacturing process is complemented by the robustness of the final product. At 800 °C, the ZrC / tungsten cermet conducts heat 2 to 3 times better than nickel based iron alloys. Such alloys are currently used in high-temperature heat exchangers. In addition to the improved thermal conductivity, the mechanical strength of the ZrC / tungsten composite is also higher than that of nickel alloys. The mechanical properties are not affected by temperatures of up to 800 ° C, even if the material has previously been subjected to heating, e.g. for cooling cycles between room temperature and 800 °C. In contrast, iron alloys, e.g. stainless steels, and nickel alloys loose at least 80% of their strength. The ancient, arid landscapes of Australia are not only fertile soil for huge forests and arable land. The sun shines more than in any other country. Strong winds hit the south and west coast. All in all, Australia has a renewable energy capacity of 25 terawatts, one of the highest in the world and about four times higher than the world’s installed power generation capacity. The low population density allows only little energy storage and electricity export is difficult due to the isolated location. So far, we thought the cheapest way to store large amounts of energy was power-to-gas. But there is another way to produce carbon-free fuel: ammonia. Nitrogen gas and water are enough to make the gas. The conversion of renewable electricity into the high-energy gas, which can also be easily cooled and converted into a liquid fuel, produces a formidable carrier for hydrogen. Either ammonia or hydrogen can be used in fuel cells. The volumetric energy density of ammonia is almost twice as high than that of liquid hydrogen. At the same time ammonia can be transported and stored easier and faster. Researchers around the world are pursuing the same vision of an “ammonia economy.” In Australia, which has long been exporting coal and natural gas, this is particularly important. This year, Australia’s Renewable Energy Agency is providing 20 million Australian dollars in funding. Last year, an international consortium announced plans to build a $10 billion combined wind and solar plant. Although most of the 9 terawatts in the project would go through a submarine cable, part of this energy could be used to produce ammonia for long-haul transport. The process could replace the Haber-Bosch process. Such an ammonia factories are cities of pipes and tanks and are usually situated where natural gas is available. In the Western Australian Pilbara Desert, where ferruginous rocks and the ocean meet, there is such an ammonia city. It is one of the largest and most modern ammonia plants in the world. But at the core, it’s still the same steel reactors that work after the 100 years-old ammonia recipe. By 1909, nitrogen-fixing bacteria produced most of the ammonia on Earth. In the same year, the German scientist Fritz Haber discovered a reaction that could split the strong chemical bond of the nitrogen, (N2) with the aid of iron catalysts (magnetite) and subsequently bond the atoms with hydrogen to form ammonia. In the large, narrow steel reactors, the reaction produces 250 times the atmospheric pressure. The process was first industrialized by the German chemist Carl Bosch at BASF. It has become more efficient over time. About 60% of the introduced energy is stored in the ammonia bonds. Today, a single plant produces and delivers up to 1 million tons of ammonia per year. Most of it is used as fertilizer. Plants use nitrogen, which is used to build up proteins and DNA, and ammonia delivers it in a bioavailable form. It is estimated that at least half of the nitrogen in the human body is synthetic ammonia. Haber-Bosch led to a green revolution, but the process is anything but green. It requires hydrogen gas (H2), which is obtained from pressurized, heated steam from natural gas or coal. 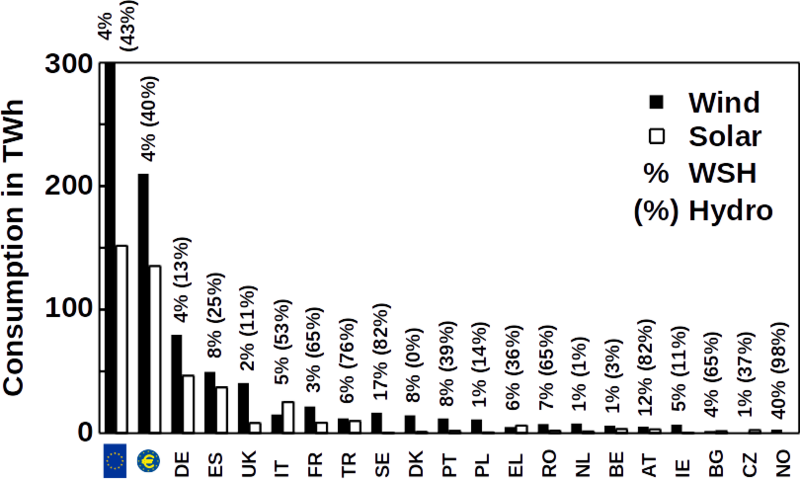 Carbon dioxide (CO2) remains behind and accounts for about half of the emissions. The second source material, N2, is recovered from the air. But the pressure needed to fuse hydrogen and nitrogen in the reactors is energy intensive, which in turn means more CO2. The emissions add up: global ammonia production consumes about 2% of energy and produces 1% of our CO2 emissions. Global warming is – as the name already suggests – a global concern. It causes problems such as sea level rise, more frequent and more severe strms, and longer droughts. Thus, it global warming concerns all of us. To best fight global warming, adopting green energy in your life is the best viable solution. Green energy is getting more attention today. It helps to reduce our carbon footprint and thus curbing the global warming. Increasing carbon footprint is the main cause for rising temperatures. Moreover, investing in green energy is also a business case generating steady revenue stream without marginal costs. Hence, many governments promote the use of green energy by providing subsidies and teaching people its benefits in their life. There are many ways green energy is produced, for example, solar energy, wind energy, the energy produced through bio-waste. Fuel cells are a major breakthrough in this regard. They have impacted the production green energy in many ways. They are also convenient to use. As their fuel (hydrogen, methane …) is produced by using electrical energy, they can use a wide range of green sources to produce energy. A fuel cells is a device that converts chemical energy into electrical energy. The process combines hydrogen and oxygen to produce water& electricity as main products. Fuel cells are somewhat similar batteries. The main difference is that a fuel is supplied without a charge-discharge cycle. Like batteries, fuel cells are portable and can be used with a variety of fuels like ethanol, methanol, methane, and more. The cells are more efficient than conventional methods used to produce energy. Fuel cells eliminate pollution by using hydrogen instead of burning of fossil fuels. They use chemical fuels that can be recycled or produced using renewable energy which makes them environmentally friendly. Hydrogen fuel cells are grid-independent and can be used anywhere. A fuel cell produces power by transforming chemical energy into electrical energy in reduction-oxidation processes, much like batteries do. However, unlike batteries, they produce electricity from external supplies of fuel to the anode and oxidants to the cathode. Fuel cells are capable of producing energy as long as the fuel required to produce energy is supplied. Main components of fuel cells are electrolytes that allow for ion exchange. They aid the electro chemical reaction. Hydrogen, ethanol, methanol, and methane are used as a source of energy. Methane, which is extracted from the subsurface, can be transformed into hydrogen rich stream. With an abundance of the hydrogen in nature, fuel cells seem to be the most viable technology that helps to produce green energy at large scale and at the most affordable cost. Fuel cells are all set to become the most reliable source of green energy in the near future. They are fuel efficient, so businesses can make the best use of them. At Frontis Energy, we offer a unique selection that helps you build and improve your own fuel cells – be it for research and development or for production. How do the fuel cells work as an effective renewable power? Fuel cells are the devices that convert chemical energy directly into electrical energy. The process combines hydrogen and oxygen produce water& electricity as main products. Fuel cells are similar to batteries in that they produce electricity but also different in that a fuel is supplied without a charge-discharge cycle. Like batteries, they are portable and developed by technological experts. 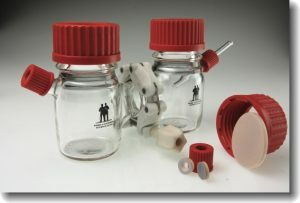 The cells can be used with a variety of fuels like ethanol, methanol, methane, and more. The cells are efficient when compared to the conventional forms of producing energy. Hydrogen fuel cells operate silently. Fuel cells eliminate pollution by switching from burning of fossil fuels to hydrogen. Fuel cells last longer than batteries because they use chemical fuels to produce energy. Components of Fuel Cells. A fuel cell converts chemical energy into electrical energy, much like a battery. 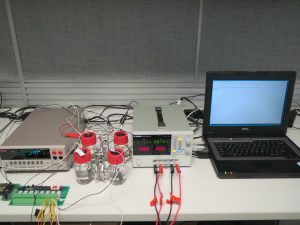 But unlike batteries, they produce electricity from external supplies of fuels to the anode and oxidants to the cathode. Fuel cells can operate virtually continuously as long as the necessary fuel is supplied. Electrolytes are the major components of the fuel cells and keep that allow ion exchange. Fuel cells also have electrodes that are catalysts of the electrical chemical reaction. Fuel for Fuel Cells. Fuel cells can operate using a variety of fuels like hydrogen, ethanol, methanol, and methane. Fossil fuels like methane are extracted from underground and converted into a hydrogen rich stream. There is also a huge abundant amount of hydrogen in water which can be used for the hydrogen power supply .For higher voltages, fuel cells can be stacked. Fuel cells can power anything from microchips to buses, boats, and buildings. Fuel Cell Efficiency. The fuel cells are much more efficient than conventional power generation. This is because conventional power is generated be converting chemical energy into heat, mechanical energy and lastly into electrical energy. Fuel cells are converting energy directly into electrical energy and are much more efficient. Fuels cells are a promising technology and already a source of electricity for buildings and vehicles. The devices operate best with pure hydrogen. In contrast, fossil fuel reserves are in limited and the energy future of the world needs to include several renewable alternatives to our declining resources. Hydrogen is the most abundant element present in the universe and serves as the fuel for nuclear fusion in the sun. Due to this abundance, hydrogen fuel cells are the best green energy source. Today’s companies are developing innovative techniques to use green energy such as fuel cells. There are different types of fuel cells under development, each with its own advantages, limitations, and potential applications. The classification is determined by the kind of electro chemical reactions taking place in the cell, the required kind of catalyst, the temperature range in which the cells operate, the required fuel, and other different factors. Frontis Energy is an industry expert in fuel cells and electrolysis storage with more than 20 years of experience. We develop innovative environmental technology products and services. Our specialty is bio-fuels and wastewater with innovative solutions at competitive prices. A fuel cell is a device that uses a source of fuel like hydrogen and an oxidant for creating electricity through electro chemical processes. It converts chemical energy into electrical energy like batteries found under the hoods of automobiles or in flashlights. The basic build-up is very simple. There are in principle two types of configurations which refer to the electrolyte and the two electrodes. Many combinations of fuels and oxidants are possible in fuel cells. The fuel can be hydrogen, diesel, methanol, natural, etc., and the oxidants can be air, chlorine, or chlorine dioxide, and so forth. But most of today’s fuel cells are using hydrogen. The hydrogen used in fuel cells can be produced by a variety of fuels, including natural gas. A fuel cell splits hydrogen into electrons and protons. Fuel cells have several advantages over other common forms of power. They are cleaner, more efficient, and quiet. There is no doubt that fuel cells are among the most efficient ways of green energy today. They are a decentralized and Eco-friendly alternative to conventional energy production. As the cost of centralized power rises, the cost of decentralized power continues to fall. Some power professionals believe the days of centralized power are numbered. Today, fuel cells are the best device to convert chemical energy into electrical energy. What is the need of renewable energy sources? Currently, we are using coal, oil, and gas as our energy resource. They are known as fossil fuels and when burned, they release heat energy that can be turned into electricity. Unfortunately, they cannot be replenished. This form of energy can also be harmful for the health and also a degrading factor for the entire health of the world. People today are turning towards the use of renewable energy for it is an energy source that is less harmful for the environment and for our health. There are different renewable sources of energy in use today like solar, wind, and hydroelectric power. Wind turbines and solar panels are becoming an increasingly common sight to be used as energy resource. Some of the other forms of clean energies are geothermal, and energy from biomass. These are effective solutions for avoiding, minimizing, and mitigating the use of fossil fuels. Different human activities are overloading the atmosphere with various harmful gases and other emissions. These gases act like a blanket that result in a web of significant harmful impacts. Increasing the supply of renewable energy would allows the replacement of carbon intensive energy sources with to reduce green house gas emissions. Air pollution from using coal and oil is linked with breathing problems, heart attacks, cancer and neurological damage. Most of the negative impacts come from the air and water pollution. Wind, solar, and hydroelectric systems will generate electricity with no associated air pollution emissions. Strong winds, sunny skies, heat from underground water, and abundant plant matter will provide constant supply of energy. Renewable energy provides a significant share of electric needs, even after accounting for potential constraints. Renewable energy is supporting thousands of jobs. Solar panels need workers to install them; wind farms need technicians for maintenance. There are a lot of reasons for moving towards the use of renewable energy for now and in the future. But there are some limitations also with the use of such energy resources. It is thus advisable to contact the support experts of professionals dealing with the use of green house gases for energy production. What is Green Energy? How will renewable energy power the future? Together with water, energy is the most valuable resource we have. It powers different industries. Energy provides a system with the ability to perform work and without it, industries cannot function. Using green energy for manufacturing in growing economies is not only more sustainable but can also save money. Green energy is the energy that can be harnessed without harming the environment. This source of energy is environmentally friendly releasing very little toxic compounds into our atmosphere. Green energy is defined as renewable energy since it is not exhausted at the source. It is also referred to as a clean energy due to the lack of negative impacts on the environment. To keep the planet clean it is important to use such alternative energy sources. One prominent example is the energy obtained from the processing of waste materials to make the environment cleaner. These materials normally pollute the environment by increasing the amount of waste material and toxic substances on the Earth’s surface. Non-renewable sources of energies like fossil gas, oil, or coal, threaten power plant operators & end users, because of the insecurity of marginal costs. The price of gas fluctuates across regions, in a cyclical, though unpredictable fashion. Renewable energy prices, on the contrary, have been continually decreasing. There have been significant price drops in solar over the last decade and the prices for onshore wind also drop significantly. Renewable have been heavily encouraged by policy makers and direct as well as indirect subsidies. This has driven down the costs during early deployment. The wind or solar farms are usually constructed for up to 25 to 30 years of operation, and even longer for hydro power plants. Thus, renewable continues to generate electricity for a very long time while their efficiency continues to increase. The majority of non-renewable sources are concentrated in certain regions, whereas renewable energy can be domestic. This helps nations to reduce their dependencies on imported sources. The energy independence thus plays a significant role in addressing our energy needs by replacing foreign energy imports with clean electricity. It is important to manage diminishing fossil fuel reserves and climate change is the biggest challenge the world is facing today. People are moving from non-renewable energy use to green energy to save the world for the future but also to save money. Clean energy development is vital to combat global warming and to limit its most devastating effects. Fuel cells have a long history but currently experience a revival along with other forms of distributed generation to mitigate the greenhouse effect. They are a special type of galvanic cells which that can be fueled by solid, liquid, or gaseous fuel. The cells produce electricity through chemical reactions without hot combustion. They are there for particularly energy efficient. Most fuel cells convert hydrogen and oxygen into water in a process the leads to the generation of electricity. They are therefore electro chemical conversion devices is producing water, electricity, and small amounts of heat. A fuel cell is using the chemical energy of the hydrogen or another fuel to efficiently produce electricity. To build a fuel cell, first make sure which fuel will be used. If hydrogen is the fuel, then electricity, water, and heat are the only products. The cells are unique in terms of the variety of potential applications. They can power everything from vehicles including spacecraft or an entire infrastructure. Fuel cells are working like batteries and they do not need recharging, just refueling. They produce electricity as long as the fuel is supplied in a sufficient manner. The fuel cell is consisting of at least two electrodes namely a negative electrode (or cathode, where the positive charges travel to) and a positive electrode (or anode, where negative charges travel) − that is sandwiched around an electrolyte. A fuel like hydrogen is fed to the anode, and air or oxygen is fed to the cathode. A catalyst at the anode separates hydrogen molecules into protons & electrons, the latter generate electrical current. The fuel cells are used in a wide range of applications, including transportation, material handling, and stationary, portable and backup power applications. The cells have numerous benefits over conventional combustion-based technologies currently used in power plants & vehicles. Fuel cells emit only water, so there are no carbon dioxide emissions during operation. The anode is the positive post of the fuel cell serving several purposes. Electrons are freed from the hydrogen molecules so that they can be used in an electrical circuit. Pores in the electrode disperse the hydrogen gas equally on the surface of the catalyst. The cathode is the negative post and also porous. Oxygen gets dispersed on the surface of the catalyst and it can recombine with the hydrogen ions & oxygen to form water. The electrolyte can be a proton exchange membrane or another porous or liquid material. 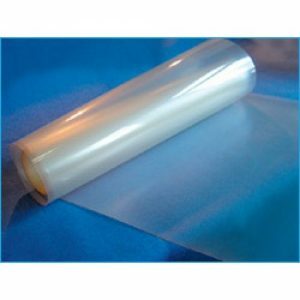 Some membranes look like ordinary kitchen plastic wrap, put have micro pores to allow positively charged ions to pass through. Catalysts are vital to fuel cells in that they facilitate the reactions of oxygen and hydrogen. They can be made of platinum nano-particles very thinly coated onto carbon paper, cloth, or other, arterial. The proton exchange membrane is the heart of the cell and it allows protons to pass through it unimpeded blocking other compounds of that are also present in the electrolyte. What are the advantages of fuel cells? Fuel cells avoid the ‘thermal bottleneck’ and thus are more efficient than combustion engines. Chemical energy is directly converted into electrical energy which makes fuel cells more efficient than combustion engines. Direct emissions from fuel cells are just water and a little heat. This is a huge improvement over internal combustion engines’ litany of greenhouse gases. The cells do not contain moving parts and are therefore much more reliable than traditional engines. The cells can be produced in an environment-friendly manner, as opposed to oil refining which is very damaging our environment. Hydrogen fuel cells do not produce air pollutants or greenhouse gases and significantly improves the environment. The cells are the most efficient form of energy conversion apparatuses converting chemical into electrical energy. There are a lot of benefits to choosing green energy for day-to-day energy production. Mof course, there are the environmental benefits that come with the use of renewable energy. Choosing green energy helps to reduce carbon emissions and air pollution. It also offers a number of social and economic benefits that are often overlooked. It is the need of the hour to quickly adopt green energies for protecting our environment. Developed countries are slowly and steadily taking the initiative towards green energy consumption. While hydro power is the oldest form of green renewable production, the two best known forms of green energy are wind and solar. Their prices are falling dramatically, as we reported previously, and it is expected that the price will go down more significantly in the coming decades. Despite their intermittency, green energy services are more reliable thansome traditional energy services if implemented in smart grids. This because they can be used in decentralized grids. These decentralized energy systems are less likely to experience large-scale failure if they are distributed properly. There is a rise in appreciation and technological development of green energy. It will lead to the creation of more jobs in the renewable energy industry. In the U.S. there are already more people employed in the green energy sector than in conventional energy production. Naturally, such jobs are always local and cannot be transferred to other countries. Globally, there are almost 10 million people employed in the green energy sector. The use of fossil fuels is resulting in air and water pollution, leading to cancer & breathing problems, heart attacks, and other serious health issues. Replacing fossil fuels by green energy sources will help reduce the harmful emissions. The green services do more for the community as most of the jobs in the renewable energy sector are created locally. These services power homes efficiently and local governments collect taxes from renewable energy projects, which is used to improve public services. How businesses benefit from renewable energy? Enterprises or business always thrive for new ways to be more sustainable. Going green help the company’s bottom line and also attract new clients & customers. Switching to renewable energy brings many different benefits to a business. For one, there are bigger rewards for the business for switching to more sustainable energy sources because they save on their energy bills. Energy forms like solar energy provide the opportunity to cut the energy costs while contributing to the Earth’s health. 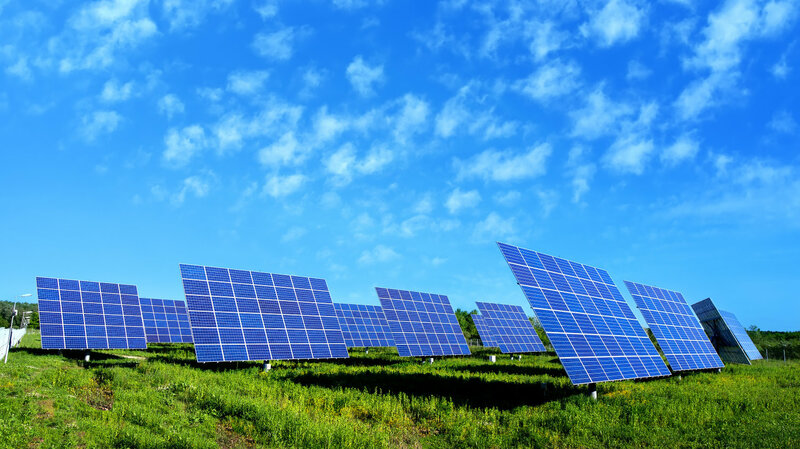 Solar panels are harvesting energy from the sun which, resource that is accessible to everyone and therefore an intelligent investment for the businesses. Companies can save a substantial amount on their energy bills by going green. The savings can rage to thousands to dollars depending on the business size. Moreover, if renewable energy is combined with energy storage such as batteries or power-to-gas, businesses can become grid independent which protects from disasters and blackouts. All of these benefits come do not just cut energy spending but also protect the environment. Global warming is has real and serious consequences for our planet, but if we continue to practice our business as usual our future generations will have to pay up for our deeds. Conclusion: Renewable energy is bringing many different benefits to business who profit immensely. If are you looking for a way to leave a smaller footprint on the planet, switch to renewable energy options and save money. When businesses show that they care for the health of their clients, it is more likely for the clients to products or services. Wind energy is short for the conversion of energy captured from wind to electrical or mechanical energy. Wind power turbines produce electrical energy and windmills produce mechanical energy. 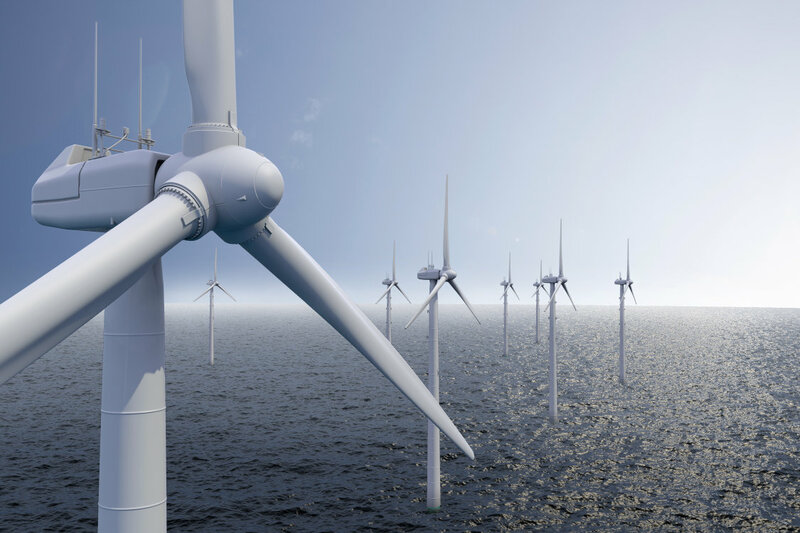 Other forms for wind energy conversion are wind pumps which use wind energy to pump water or sails which drive sail boats. Since its first use on sail boats, wind energy is wide spread. Windmills have been used for more than 2,000 years as source of mechanical energy. The Scotsman James Blythe was the first who demonstrated the transformation of wind energy into electrical energy. As wind energy is a renewable source of energy, electrical energy generated by wind turbines is a clean and sustainable form of energy. Wind energy is often also cheaper than natural gas, for example throughout the entire American Midwest, as shown by the Energy Institute of University of Texas, Austin. It is therefore not surprising that wind energy is one of the fastest growing markets in the renewable energy sector worldwide. In 2015, 38% of all renewable energy in the United States and the European Union was generated by wind turbines. More efficient than single wind turbines is the use of wind parks where clusters of large turbines constantly generate electrical power. There are two kinds of wind parks, on-shore and off-shore wind parks. Off-shore wind parks are often more expensive but do not use valuable farmland as it is often the case for on-shore wind parks. However, wind parks on farmland can be a valuable addition for farmers seeking an extra income.